The retail and hospitality industries have long cottoned on to the fact that enhancing the customer’s 360 degree experience of a brand are ninth tenths of the battle for market share. Retail chains, malls, business hotels and resorts understand that engaging as many of their customers’ senses as possible, in as pleasurable a way as possible, is the key to creating loyalty, repeat visits and higher per capita spending than merely ‘going vanila’, or depending on price and service factors alone. Like it or not, behavioural science has proven that human beings are emotional animals, that emotions influence purchase decisions and furthermore that the five senses have a direct input to the emotional centers of the brain. 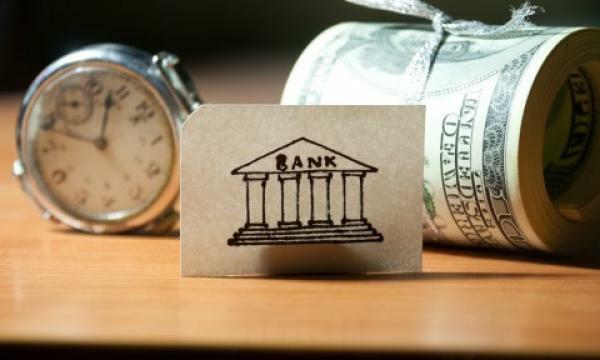 The banking sector, however, has been relatively slow to catch onto these realities until now. How many high street banks subject their customers to the tedium of endless, bland looped video product messages, for instance? How many retail banking lobbies are about as engaging as a walk-in medical clinic? When banks believe they can fall back on the strength of their products alone they are missing the bigger picture. For the consumer, their choice of banking brand is often made in the same way they would select a car brand, or a fashion item. They choose those brands which not only offer the best products and services, but those names which engage their emotional and pleasure centers. International banking brands need to hone and refine their service environments to offer greater appeal, whilst the home grown banks need to offer an experience that is comparable with the international brands, whose strength lies in being exposed to more leading edge trends. Ultimately, all banking brands are anxious to execute a more customer centric philosophy which offers fast service, solves financial needs and which values the customer relationship. This entails creating a meaningful differentiation from other brands and this can be done through the creation of an ‘experience’. The most immediate and accessible way in which any brand can create an engaging sense-based ‘experience’ for their customers is through a combination of fragrance and music, a technique which is being directly learned from the hospitality industry! Music, for example, releases the chemical dopamine in the brain which has a role in setting good moods and how we feel as individuals. Dopamine is also associated with less tangible stimuli such as being in love. Fragrance on the other hand can contribute to the intensity of a given mood. Certain fragrances are ‘high arousal’ and act as a kind of stimulant, whilst others are ‘low arousal’ and can have a calming and relaxing effect. When used in harmony together, both music and fragrance can set powerful moods and predispositions in customers. These behavioural effects are born out in scientific studies. If we look at the application of fragrance, Nike once conducted a study where they presented two identical sets of trainers; one pair was located in a room that had been lightly fragranced, and the other in a room which had not. It was found that consumers preferred the trainers from the scented room and were even prepared to spend 10 to 15 to 20 dollars more as compared to trainers in the un-fragranced room! Scent had a direct and measurable effect on price positioning. As humans, we are affected by the appeal of our surroundings, which tend to affect our behaviour. In another famous retail study, a wine shop was comparing the effect of playing top 40's music versus classical and jazz, and they actually found that the volume of sales didn't increase between the two, but they did find that when people listen to classical music they tend to select more expensive wines! Clearly, being exposed to ‘the classics’ raised people’s personal aspirations in a way which influenced their purchase decisions! With 83% of marketing budgets spent on commercial communication that appeals to one sense - our eyes, yet 75% of our decisions are based upon what we smell and there’s a 65% chance of a mood change when exposed to positive music. In the Asia region, the banking sector is just beginning to awaken to these realities of behavioural science. They have begun taking pains to ‘style’ their interiors in a multi-dimensional way which takes into account other senses in addition to the visible. A bank branch is no longer seen as a destination for transacting business as quickly as possible. The whole experience of visiting that space and waiting for service has been taken into account in the same way that banks began evaluating the experience of phone callers on hold a couple of decades ago. Like business class hotels, today’s bank brands are eager to foster a ‘welcoming atmosphere’ which makes customers ‘feel instantly at home’. In the context of retail banking this objective might be calibrated to find out which combination of music, fragrance and other sensory touchpoints best serve to create a psychological access point to selling more financial products, taking out loans or credit extensions for example. To impart an ‘easy repayment’ schedule for instance it might be necessary to set a ‘low arousal’ environment which places customers in a comfortable and suggestive theta state where ‘no problem’ is the concept communicated sub-textually. Fragrancing has come a long way from the old fashioned ‘squirt squirt’ scent machines of yesteryear. Environmental brand consultants now work with top fragrance houses from around the world which often custom craft a particular client’s ambient aroma from scratch, so the scent remains unique to their brand. The fragrance house concerned might already have crafted perfumes for Anna Sui, Gucci, Escada or Dunhill. Meanwhile, clients who do not go to the lengths of creating a unique ‘signature fragrance’ can also choose from a range of many different off the shelf scents and aromas from the brand consultant’s scent repertoire. These high-end aromas are difused throughout the banking retail environment via a dry vapour delivered by a central air conditioning system. This method is more reliable, economical and above all safe than traditional candle or scent burning systems of aromatherapy. It is also extremely easy and fuss free for a brand to install and service. In Part 2, I will look at some actual real-world examples of bank brands which have adopted these sensory techniques in their branch locations.